About every three years the centre is reviewed by the Education Review Office. Their reports are published on the Ministry of Education’s website. Children are confident and independent learners who settle quickly on arrival. 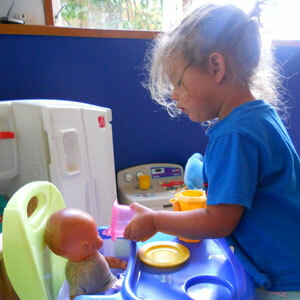 Their sense of belonging is nurtured and they are happy and content in their play. Children’s learning through play is valued and respected. They are encouraged to follow their curiosities and develop their own working theories about the world. Children experience warm, caring and genuine relationships with teachers. Their social and emotional development is well supported. Trusting partnerships with parents support children’s learning and wellbeing effectively. Parents are provided with opportunities to contribute to the planned curriculum. 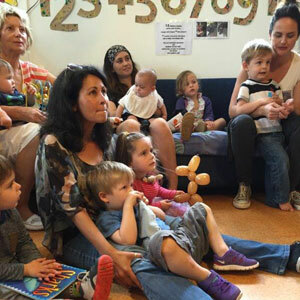 Children’s learning stories reflect their interests, development and parents aspirations. Teachers genuinely listen to children. They engage children in conversations that help them develop their understanding and explore deeper meanings in their learning. Children are empowered to take increased responsibility for themselves and each other. Teachers are responsive to children’s interests and preferences. They have an understanding of each child as a unique learner. The centre owner promotes a culture in which children are valued, celebrated and affirmed for who they are and what they bring to learning. She promotes a shared understanding among the teaching team of the centre’s philosophy, vision and goals. Staff are supported to complete relevant professional development that supports positive outcomes for all children. 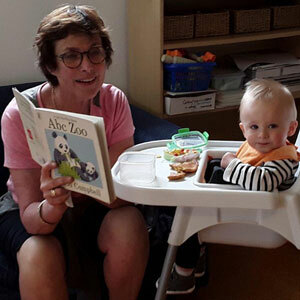 Hamish and I just wanted to thank you again for everything you did for Alice over the course of her time with you at Stepping Stones. It has been great to be part of your world. I can’t believe this day has come, you have been a part of our lives for 3 years now. It will be such a wretch not going to you…They couldn’t have had a better start anywhere and I am very grateful we found you. Just a quick note to thank you very much for all the effort you put into Elyse’s portfolio. We have had it available on the kitchen table for the whole of the school holidays for Dad, Nannas, Grandads etc to browse through. I have found Elyse on a number of occasions, over the break, sitting on the floor with it having a good look through and chatting to herself. It’s a wonderful recording of some special moments of her pre-school life, so thank you very much. We have no doubt [Layla] will dearly miss all her wonderful and lively friends and her loving and nurturing teachers. Stepping Stones has been like a second home, a place of familiarity, safety and fun, fun, fun. Thank you for all the support you have offered us over the last year. You have been a true blessing. Feel sad Tilly is leaving as she’s been so loved and cared for by you all… I can’t thank you all enough and will be sure to visit regularly and keep in touch of course, as through the past two and bit years we have all become good friends. Thank you so, so much for your kindness and love towards my precious bundle of cuteness – Tilly. She will be sure to miss you all!. We’re going to miss you and the staff and kids at Stepping Stones…Grace’s second home for the last 3 years! Neil and I can’t thank you enough for all your support and advice, and for how you’ve cared for Grace and been so instrumental in her development. 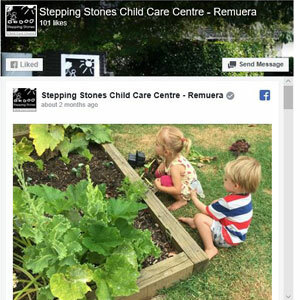 Stepping Stones Child Care Centre was established in 1994 and has been operating under the same ownership and management, and on the same site from the beginning. We often meet up with young adults who have fond early memories of their early childhood days at Stepping Stones.